Provide a full Micro Market solution powered by your customer’s smart phone. No Kiosk necessary. Operate a complete Micro Market solution with a small upfront cost! Introducing koin markets by Parlevel. With koin markets, you can provide your location a total Micro Market experience without the need to invest in a Kiosk. koin Micro Markets are completely powered by your customers smartphones. 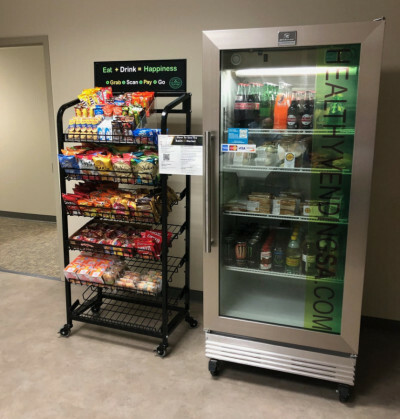 Simply provide the snacks, beverages, and other products onsite, and let your customers checkout with their smartphones! They select a product, scan the product on their phone, pay, and enjoy! It’s that easy. 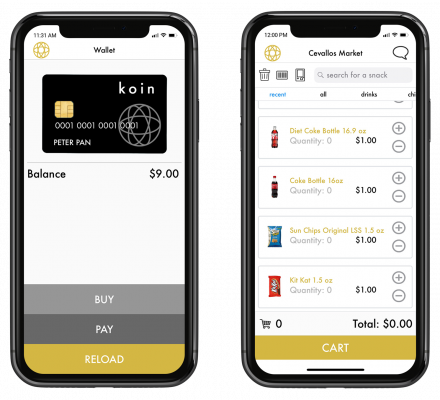 The koin app also allows your customer to setup automatic wallet reloads, remotely check micro market inventory, provide service feedback, and other features that enhance your offering. koin markets are perfect for locations of less than 75 employees. By eliminating the need to invest in a Kiosk, you can serve these smaller locations with a fully-functional solution. 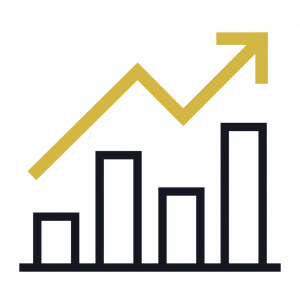 Satisfy your customers and maximize your ROI with koin!